What would you give to read your customers’ minds? In his talk at the Intelligent Content Conference, self-proclaimed “search guy” Wil Reynolds shared some tips for getting as close as possible to mind-reading by using resources – some timeless, some modern – that are hiding in plain sight. “If you look just at the keywords people search for, you’re missing out on many of their actual needs,” says Wil, who serves as director of digital strategy at his own company, Seer Interactive. One day I woke up and I looked at all the years and all the time that I spent trying to understand how Google ranks things. I was so out of whack. I had spent all this time chasing what Google wanted and where they wanted the words and never tried to understand how people make the decisions they make. Wil cites the example of Michelin’s travel guides in the early 1900s when travel by car first became a possibility. Michelin tapped into a widespread craving for trustworthy travel-related information. The company somehow identified that need and filled it without the help of the internet. Referring to Claude Hopkins’ book Scientific Advertising, published in 1923, Wil reminds us that we could learn a lot from yesterday’s door-to-door marketers who learned about their customer’s concerns through conversation. We say, ‘Oh, I have to optimize for the word SEO blah, blah, blah so I can rank for SEO blah, blah, blah, blah, blah.’ We forget that there was a need that somebody had before typing in that word. How do you understand the need if you never talk to people? The answer is you don’t. You make assumptions, and that’s a mistake when you can just talk to somebody. We lose something important when we act as though moving into the digital age means abandoning the human connections that have always made marketing work. To discover the things behind the words people search for, Wil recommends that you sit with people as they search online, encourage them to voice what’s going through their minds at each click, and listen. Wil points out, for example, that Chinese-American people who follow the principles of feng shui often base home-buying decisions on factors that keyword research can’t tell you. Certain aspects of a house – like location on a dead-end street, stairs facing the door, front and back doors that line up – are deal-breakers. If you had a real-estate business, typical SEO keyword research might result in a decent Google ranking for your website, and yet, if you didn’t know about these feng shui criteria, a portion of the people clicking through to your web pages might not rent from you … and you might never know why. If you don’t sit with some members of the Chinese-American audience, listening to their thought process as they click through a search experience, you have no clue about the concerns that determine their decision-making. You can’t know how to adapt your content to address their needs. You’d be getting ranked but not getting thanked. Another example Wil gives comes from conversations he had with people as they searched online for moving advice. Two people he talked with clicked through to the same BuzzFeed article, which had seemed promising but disappointed them. He listened to why they were disappointed. One person found the advice “lowbrow.” Another said that the information would have been more helpful in a checklist format. If you were in the moving business, that kind of insight could help you see what content people want and don’t find. That’s the kind of content all of us want to create. How much better would your content strategy be if you asked potential buyers of your product or service to search, and you watched how they search and asked them what they like and don’t like about the existing content that’s already ranking? 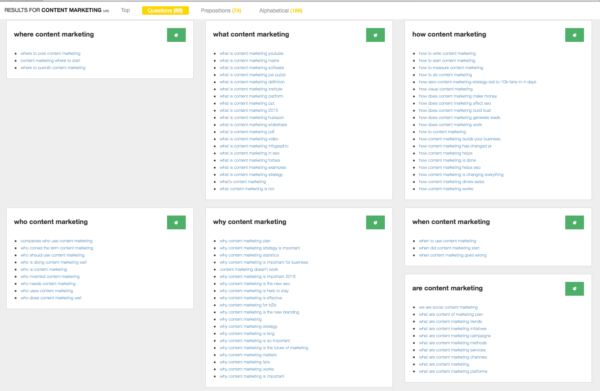 You could then build content that answers people’s questions better. That’s the kind of information you need when you create your content’s title tag – and you get it when you sit with people. Marketers can waste a lot of effort chasing a ranking that, in the end, fails to deliver clicks. Better to chase an understanding of the human beings doing the clicking by sitting next to them and opening your ears. 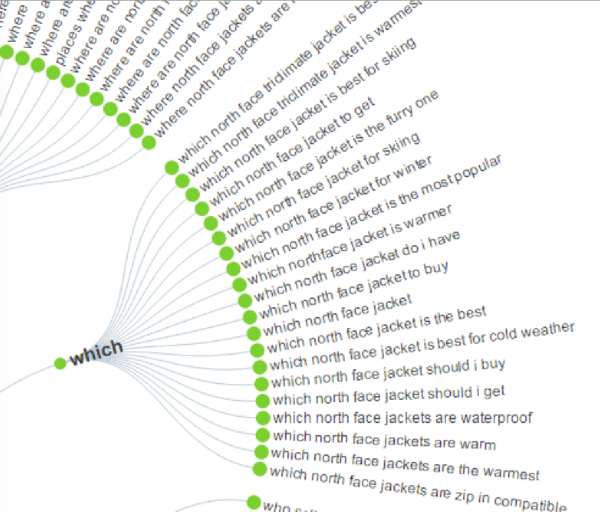 Here are some of the ways search engines reveal priceless information that enables you to discover what people want. Google, for example, often pulls a bunch of related information onto the results screen based on the things people predictably search for on a given topic. 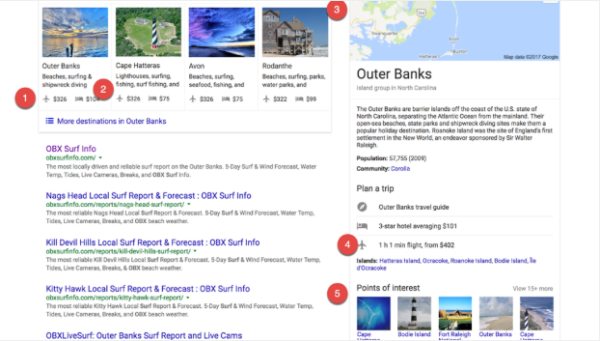 Here are the results that came up when Wil searched for surf information on North Carolina’s Outer Banks. 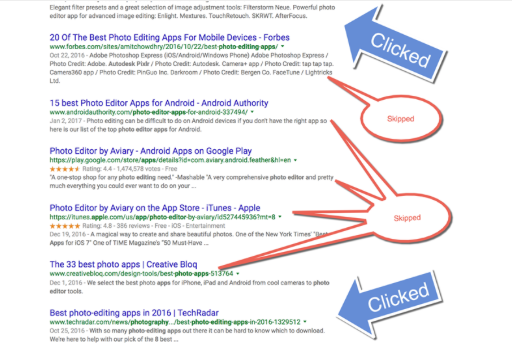 The five red circles represent five types of information Google knows many people find valuable. If you were putting together your own content on the Outer Banks, you would want to know what content people have voted for with their clicks in the past. The search engine knows – and leaves its knowledge in plain sight. These are the things that people want when they’re looking to do a surf trip in the Outer Banks. It’s staring you in the face, people. The data is right there. Google’s predictions are staring you in the face every day, and 99% of content marketers haven’t changed one thing based on this. Are you among that 99%? Why Does User Intent Matter So Much to Your SEO? When people click through to your website, you want them to find answers to lots of their questions. For one thing, if your visitors go back to Google quickly, the algorithm may decide they found your content unsatisfying. Google doesn’t jump to this conclusion, though, since lingering on a page may also indicate confusion. “Google is trying to get smarter at telling the difference,” Wil says. 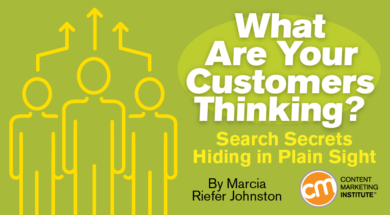 Are you answering all the top questions your visitors are likely to have? To find out, use Google to search some key phrases your audiences are likely to use, and look in the search returns for “people also ask” questions. If you find some, incorporate them into your content strategy. Create answers that your visitors will want to share. 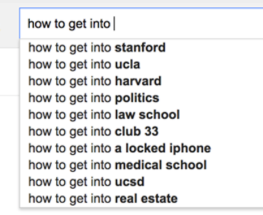 The autocomplete list that Google displays under your search box tells you, based on the characters you’ve typed so far, what search strings are most popular – another peek into people’s minds. Navigate to any Google search-results page. Click Settings > Search settings. What the Heck is Going on With Search Engines? Reading people’s minds, with Google’s help, pays. Here’s an example. One of Wil’s clients saw the click-through rate for a page on wedding dresses jump 307% – triple the traffic, with no boost in search ranking – simply because of a word change in the page’s meta description. How did Wil know to change that word? He noticed that his paid-search team had written ad copy to trigger emotion. The ad spoke to future brides using the term “gorgeous,” whereas the page’s meta description used the term “lace.” The meta description had not been written for brides as much as it had been (supposedly) optimized for Google. Since the paid-search ad copy was getting high clicks, Wil made the meta descriptions sound more like the high-performing ad copy. What might you change in your page meta descriptions to mimic the wording of your high-performing paid-search ads? At the bottom of the search-results screen, Google lists popular related search terms – terms that tell you a lot about the people who have searched on a given keyword. Let’s say you work for a company that sells water coolers to businesses. You might assume that you would want to rank for the term “water cooler.” Search for this term, and, in seconds, you discover that people who search on “water cooler” are not typically your customers; they’re retail shoppers who want to buy a home water cooler from Lowes, Walmart, or Home Depot. Optimizing your content for the keyword “water cooler” might get you ranked; it won’t get you thanked. Google has millions of data points on the term “water cooler,” and it has some of the world’s smartest minds in machine learning. 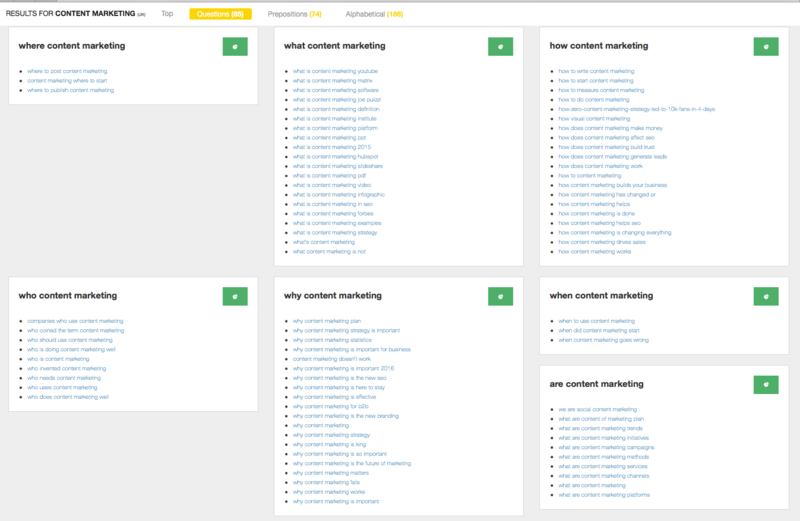 When Google tells you that B2B sites have no business trying to rank for this term, believe it. When you search some phrases you want to rank for, check out the lists of related search terms at the bottom of the results pages. What mind-reading clues do you find? If your company is up against controversy or crisis, the worst thing you can do is ignore it. 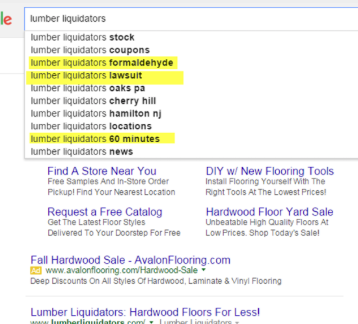 Lumber Liquidators, for example, was in the news for a lawsuit related to formaldehyde in flooring products. People searched Google to find out what was going on. The company could have known about the negative related topics that popped up when people searched for the brand by reviewing the autocomplete terms that showed in a search test. Lumber Liquidators could then have addressed the topic head on. Instead, the company chose to leave it to others to fill that information gap. Like it or not, people will hear about your company dirt. You can let Google help you get in front of the content storm, or you can let others generate the content storm while you hide out and take your chances. Wil points to a site called Answer the Public, which uses machine learning to create an on-the-fly visual of questions related to a given keyword phrase. 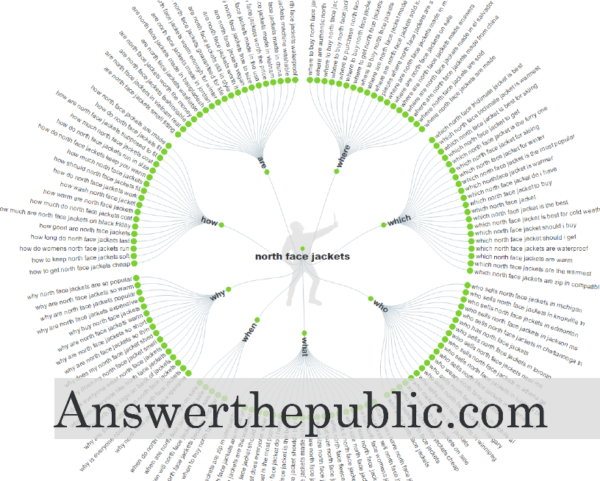 Wil’s example below shows the questions that people type in to search boxes about North Face jackets. Try it. Go to this website and type in any phrase. 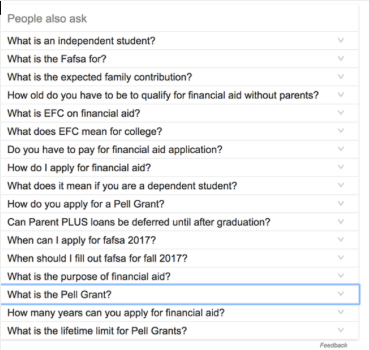 A dandelion of questions – real questions that people have typed into search boxes – instantly appears. If you want to know what people want to know, an intelligent search site like this will help you find out. Keep your ears open for other websites that offer data-based insights. I have to believe that many such experiments lie ahead. “I’m not trying to be a better SEO professional anymore,” Wil says. “I’m trying to just be a better marketer.” In his experience, the information you need is often sitting right there, waiting for you to open your ears and eyes. What are your favorite ways to get into the heads of your customers? Wil is a presenter at Content Marketing World 2017. Register today to hear in person more insights from the self-proclaimed search guy. Use code BLOG100 to save an additional $100. Sign up for our weekly Content Strategy for Marketers e-newsletter, which features exclusive stories and insights from CMI Chief Content Adviser Robert Rose. If you’re like many other marketers we meet, you’ll come to look forward to reading his thoughts every Saturday. Marcia Riefer Johnston is the author of Word Up! How to Write Powerful Sentences and Paragraphs (And Everything You Build from Them) and You Can Say That Again: 750 Redundant Phrases to Think Twice About. As a former member of the CMI team, she served as Managing Editor of Content Strategy. She has run a technical-writing business for … a long time. She taught technical writing in the Engineering School at Cornell University and studied literature and creative writing in the Syracuse University Masters program under Raymond Carver and Tobias Wolff. She lives in Portland, Oregon. Follow her on Twitter @MarciaRJohnston. For more, see Writing.Rocks.